It’s the New Year, and almost everyone is interested in losing weight and being healthier in the New Year. We are talking today with Dr. Lidia Adkins, owner and CEO of Carolinas Weight Loss Institute. GA: Congrats on your new location! Dr. Adkins: Thank you. I am extremely excited that I was given the opportunity to move CWLI into our new home. For the last 10 years we have grown the Carolinas Weight Loss Institute. We have had the pleasure to help so many people from our previous location but we simply outgrew the space. So the Carolinas Weight Loss Institute and our proprietary protocols that I developed have all moved with us to our new beautiful location with additional services now being offered. GA: What are some things one should consider when starting a weight loss plan or diet? Dr. Adkins: Each one of my patients understands that she or he is about to embark a wonderful journey and they will see fantastic results-results that many of them never thought possible. But this transformation requires work, commitment and communication. At our first consultation, a lot of patients are telling me “it sounds too easy” or “it sounds too good to be true” or “I’m afraid I will lose the weight too fast”. Well, it may “sound” too good or it may “sound” like you may lose too fast. But once we get started, patients understand that it takes work in order for those impressive numbers to happen. Losing weight is not always as simple as counting calories. If it was, I would not see half of the patient population that I do. 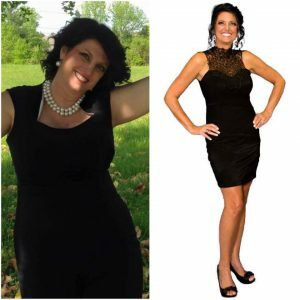 GA: We have seen lots of success stories, what is your secret to helping folks lose weight? Dr. Adkins: I’m not sure that I have a secret… I take a functional approach when it comes to addressing weight loss. Because everybody’s physiology is unique, I think it is unfair to expect that everyone would lose weight by simply taking a diet pill or reducing their calorie intake. While calories are important, not everyone responds well by counting calories in and out! So I like to take in consideration everyone’s physiology. That is where I start. Then I create a plan that is individualized for every patient. So if I had a secret, I think that is it. GA: Are all of your weight loss plans the same? Dr. Adkins: No, I don’t believe in a cookie cutter plan or using the same product on everyone, expecting to obtain the same results. After I review my patients’ information, I put together a personalized plan, which I then present to the patient. This plan takes in consideration the patient’s metabolic make up as well as their health status and previous medical history. That is the reason why we average the great results that we do with our patients. GA: What would you say is a trait of people that lose weight and successfully keep it off? maintenance. I feel the success of my weight loss approach is not necessarily only by how much a person loses but by how well they maintain. When patients leave my office they know what they need to do in order to maintain. Unfortunately, some patients don’t take this phase as seriously as they should and they end up regaining some weight back. But those who do, are successful at maintaining and actually many continue to lose. This is what I wish for everyone. GA: Do diet and fitness have a part in your weight loss plan? Dr. Adkins: My main focus is on diet and metabolic work. As for the diet, patients are given a clean protocol that is safe and appropriate for their metabolic needs. We always make sure our patients are not on a dangerously low calorie intake and everyone is instructed to eat at the level of their comfort. Losing weight on my plan is not dependent on working out. That is not what I do as I am not a fitness trainer. I do refer patients out for fitness when necessary. I certainly agree that fitness is a huge part of achieving an optimal metabolic function, but my work does not start there. As we accomplish functional goals, we proceed with fitness. Some patients get there sooner and some have to wait until we start maintenance. It depends on everyone’s starting point, health status and their conditioning level. GA: How would one get started? Dr. Adkins: The easiest way is by calling us at 704-271-9757. 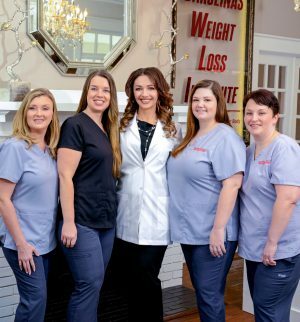 We offer a free, no-obligation weight loss consultation. This gives me an opportunity to sit down with the patient, learn their goals and suggest the best plan for them. GA: Do you have a favorite healthy recipe you can share with us? Dr. Adkins: I would love to. The chicken salad with avocado is a favorite for sure and it is extremely simple to make. To view that recipe and others, check out our social media outlets. Our Facebook page is Carolinas Weight Loss Institute and it is a great resource for recipes, fun events, specials and simply witnessing our patients real life success stories. For more information please call us at 704-271-9757 or visit us online at www.cwli.net.